Several years ago in a discussion with my sister and mentor, Portia (who since has gone to be with the Lord), who was telling me that she had reached a dry place in her life when it came to prayer. It seemed as though she had difficulty praying for others. Both of us found it interesting. I’ve come to realize that there are times when you want to pray for others, but you can only pray for yourself. Oftentimes what we find ourselves doing is trying to force a situation when God is beckoning you to spend some quality time with Him. Stealing away for personal prayer with God allows you to find yourself all over again and gain the strength you need to fulfill the assignment God has for your life. Jesus stole away to have personal time with God. When Jesus was in the Garden of Gethsemane He didn’t pray for anyone, but Himself. He asked God to allow the cup to pass from Him and he ended the pray surrendering His will to the will of God. There are things in our lives that appear insurmountable that it is hard to focus on anything else but our own needs. These are not so much selfish times as they are selfless times. A selfish person will keep pushing themselves pouring out when they know they have nothing else to give. A selfless person realizes that it is time for them to pull away in order for them to become rejuvenated to endure to the end and to be able to effectively minister to others. There are seasons when you go to call out for others and you find yourself calling out for yourself. There are seasons when that is all you can focus on is your own concerns and cares. Try as you may to pray for others, your circumstances and needs supersedes and take precedence over those of others. You see, God instructed us to love Him first, then others and finally ourselves. Because he knew that there comes a time when you have to minister to your own personal needs. There comes a time when you have to turn your back on the cares of this world in order for you to get into the face of God. You will never become all God envisioned if you don’t spend that quality time with Him by yourself and on your behalf. During this time you are able to curl up in His arms and tell Him all your concerns and fears. 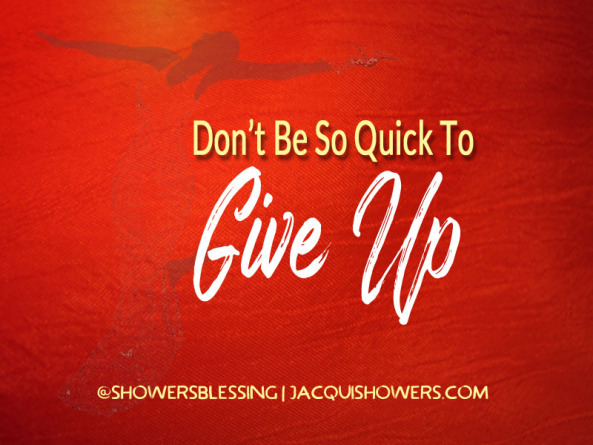 It is during this time that your soul is being renewed to accomplish the tasks that he has set before you. When we don’t make time for these special moments, we miss God and all that He has for us. It is in this intimate encounter with God that we begin to know ourselves and the will He has for our lives. So, go ahead and pull away. 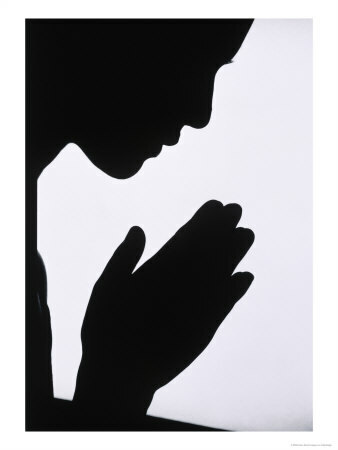 Whether its in your prayer closet, prayer chair or wherever, pray for yourself. It is not a selfish act, but a selfless act when we go to our Father so He can pour into us in order for us to acquire the strength we need to fulfill the assignment. It is only then you can truly help someone else. Now, you can say, “It is not all about me, but it is about You (God and others). Father, Sometimes I want to cry out for you on behalf of others, yet I find myself discussing my own needs and concerns. It is not that I don’t care about others, but it is because I need more of you to strengthen me in order that I can go out and be an effective change agent for you. Bless me not to feel guilty about this time I so desperately need to spend with You. Teach me how to embrace these moments as instrumental in my spiritual growth. It is when I come to You with all my concerns, I am able to envision myself as You do and to help others do the same. Amen. Copyrighted © 2010. All Rights Reserved. Question: What ‘s your response based on the Word and expereince? 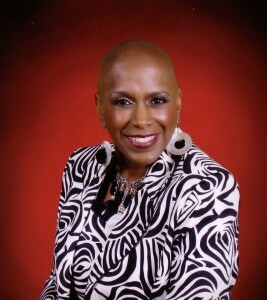 Minister Jacqui A. Showers, Evangelist, Inspirational Coach and Author, is the Founder of The Showers Group Ministries. She provides unboxed inspirational coaching through individual consultation, workshops, seminars, conferences, church services and other venues; and she is the author of Showers’ Blessings weekly inspirational eblasts serving a worldwide distribution. She is a licensed Minister at House of Prayer & Praise Ministries, Detroit. She can be contacted at showersblessings@sbcglobal.net or visit the website at www.theshowersgroupministries.com. Last week I mentioned how women gathered to pray for their children and the Detroit Public School system and other school systems on the last Saturday in August early in the morning at 7 A.M.. You will see below a video of one of the fervent prayers that went forth. It will bless your soul. I forgot to mention that some fathers gathered with us to pray as well. That touched my heart to see fathers praying for their children and calling for other fathers to pray for and take a stand for their children. These fathers challenged fathers to join them in walking their children to school on the first day of school. Our community and cities around the world must cry out to the Lord for the students, teachers and school staff in their congregations and those who participate in the educational system. I praise God for the influence and impact of our collective prayers on the students and staff. Cry out today “Lord bless our schools”, See Lam 2:19 and then also specifically and scripturally pray the prayers below or as led by the Holy Spirit. Through prayer, families, our children’s lives, and our world can be changed. God will show us how to use the power that believers have within through the Holy Spirit to transform our schools and deliver them from violence, disorganization, and poor administration. Through united consistent prayer, God will give us the power, wisdom, knowledge, and creativity to solve the many school problems that plague our city schools and school board. We must put what I call “some feet on our prayers”. Through prayer the right leaders will arise to enable the community to come together to take productive and strategic action. What can you do first of all? Pray. Wednesday I will identify other action steps you can take. Listen to the fervent heartfelt prayer of Minister Jacqui Showers for our students and school system. After the video, I listed specific prayers you can pray for our children. Pray them. Wednesday I will give prayer points to pray for teachers and the administration followed up with prayers for parents. Please let me know if you are joining in prayer with me for our children. • Pray for those students that experience rejection and bullying from other students and teachers. Pray that God deliver them from evil and bind and cast out violence and degradation. Ask God to provide children with people that love and respect them unconditionally. (John 13:34; Romans 15:7) Pray that the school is sensitive to these issues and address them effectively. • Ask God to cause your children to be examples for believers in speech, in life, in love, in faith and in purity. (I Timothy 4:12). • Pray for those students that are struggling academically. Ask God to encourage them and strengthen their minds. Pray that God will give their teachers and parent’s wisdom to know how to best help them learn. School started in early September for most school districts. We need to consistently pray for our children, parents, teachers, the school board and the entire school system. 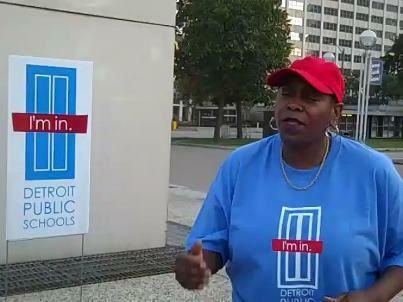 On August 25, 2012, the Lydia Circle for Professional and Business Christian Women and Faith At Work Ministries led by Prayer Director Minister Jacqui Showers and a host of women and other ministries came together at 7 am in downtown Detroit at Hart Plaza to pray for the Detroit Public School System (DPS) and other schools, as well as for the City of Detroit, government, business/commerce, family , media, church and arts and entertainment.Yes, we united in prayer on a Saturday morning at 7 in the morning. Public schools with all the violence, disorganization, poor administration, and politics on the school boards can be transformed. Yes our educational system can be changed significantly. It will be changed by two important actions. Our public school system can and will be changed by united and individual prayer, then by our obedience when God calls believers and intercessors as I say “to put feet on their prayers” and to take strategic action. We prayed for and the schools are experiencing amazing “God changes”. I pray that the movement of prayer is rising up in revival-like proportions within schools by the students, parents and the administration. I pray that many student-led prayer groups are springing up in middle and senior high schools. I pray for better test results, higher graduation results, teachers with a zeal for teaching and the spirit of excellence, safe environments, and the cessation of violence and bullying in the public schools. There is no doubt that “Moms In Touch International” (MITI) founded by Fern Nichols, a group of mothers around the country who simply desire to affect communities and schools through the power of prayer have been going before the throne of God. A diversified group of mothers, MITI serve as prayer warriors who battle in the spiritual realm for the lives of children and teenagers as they go off to school for at least one hour every week. 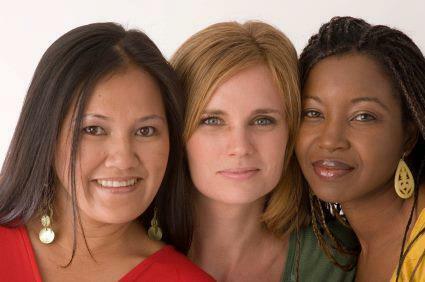 They are women united with one purpose: a passion to pray for their children and their schools. Can prayer change public schools? Believe it! Pray over your children, the teachers, the school board and the administration. Later this week I will provide some prayer pointers and tell you what you can do to make a difference. It’s back to school time. There have been back to school rallies and groups interested in addressing youth concerns. For example City of Detroit Council Members Saunteel Jenkins and James Tate held the Youth Violence Prevention Task Force’s first Back to School Youth Explosion on Saturday, September 3rd, 2011.The free event featured workshops for both kids and parents on issues affecting youth aged 12-18 including violence and sexual health concerns. Rallies are great, but we also need to call for united prayer for the lives of children attending schools and “put feet to our prayers”. Many ministries have been calling for prayer for the children, teachers, administrators and school staff as they return back to school. On one 5am morning prayer conference call on My Girlfriends’ Business , Chief Girlfriend visionary Jillian Blackwell- a wife, mother of three boys and a business owner asked for prayer for the school children, teachers and administrators. The Messiah Baptist Church Intercessory Prayer Team under the guidance of Kimberly Bracey ( Intercessory Prayer Team Leader Linda Fegins) as well as various ministries , such as the Lydia Circle for Christian Business and Professional Women Prayer Team ( Director Min. Jacqui Showers ) will hold prayer meetings by conference call, three way telephone calls and at church , praying this week for protection, guidance and wisdom for our school children , youth and college students , parents and educators. Question: What ‘s yoru response based on the Word and expereince?